In retail, the moment of decision is everything. If you don’t have the right product in the right place at the right time your customers often won’t wait. And yet having too much stock on hand means you’ll be forced to mark stock down in order to sell it, reducing your margins. Making the right merchandising decisions and accurately managing your inventory across multiple channels becomes more challenging in today’s fast moving retail environment. Island Pacific SmartPlanning is extremely versatile retail planning software. Modules can be used separately or as an integrated solution, depending on what best suits your needs. The software has been specifically designed to integrate with existing systems to ensure data integrity. Modules can be configured to fit with your retail planning processes, easily and without fuss. Alternate hierarchies, planning templates and performance measures can be effortlessly tailored to support your pre-season planning, your in-season re-forecasting and of course; the all-important analytics. 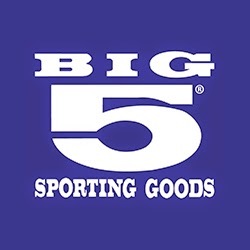 With over 35 years’ experience providing world class merchandising and store operations software to the retail industry, Island Pacific will partner with you to ensure the Island Pacific SmartPlanning solution is customized to work seamlessly for your merchandising planning and management needs. Created specifically for retailers who need a best of breed planning solution delivered and implemented quickly. Island Pacific FastPlan provides the tools to implement pre-season and in-season plans in three months. Island Pacific FastPlan will give users a fast and accurate view of your open to buy (WSSI), it easily integrates with existing solutions. Improved stock turn, lower inventory levels, tighter control of cash and saving time with OTB control delivers Island Pacific FastPlan users a rapid ROI. Learn more about the features and benefits of Island Pacific FastPlan here. Learn more about the Island Pacific FastPlan implementation here. Island Pacific Merchandise Planning provides the tools to carry out strategic high-level pre-season and in-season plans across merchandise and channels. It drives full planning lifecycle management, strategic budget planning, cross-channel and store planning, export capabilities, integrated reporting and much more. Island Pacific Assortment Manager works alongside Island Pacific Merchandising Planning to support buying within a budget framework. 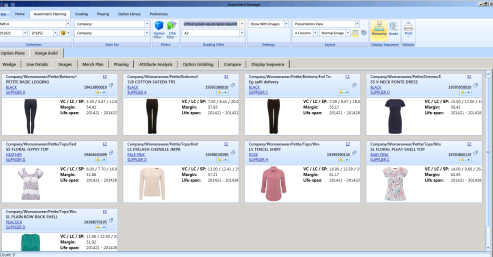 Assortment Manager is intuitive and flexible, and allows users to slide seamlessly from high-level assortment planning into store grading, option planning and range planning whilst also allowing the review of the ranges visually and graphically with associated images by collections, seasons, phasing and any other attributes which are pertinent to the retailer. Island Pacific Planning Allocation is a module that provides a working environment for defining or setting allocations. It allows the saving of allocations for later access and updating, providing users maximum flexibility until the allocation is formalized and finalized. It provides adaptable allocation criteria including sales performance, assortment plans and copy capabilities as well as a size profiler tool for retailers who operate in a size based environment as well as single units, distribution packs and pre-packs to ensure optimum operational efficiency. Learn more about the features and benefits of Island Pacific Planning Allocation here. Island Pacific Planning Replenishment capitalizes on Island Pacific’s thirty-plus years of retail experience ensuring that regardless of channel the retailer has the right stock in the right place at the right time. Manage merchandise replenishment with the Planning Replenishment’s cross-channel inventory management capabilities. 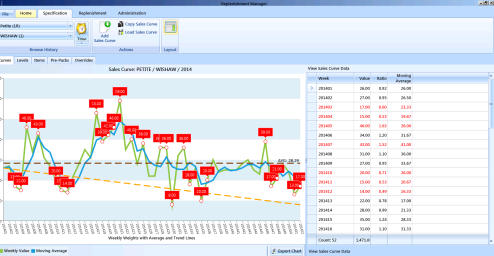 You can set static stock levels of minimum, ideal and maximum stock levels by item and store; or dynamic stock levels based on minimum and maximum days of supply or replenishment calculations that react to historical trends and forward sales projections. Learn more about the features and benefits of Island Pacific Planning Replenishment here. Get planning analysis with Island Pacific Planning Analytics. Planning Analytics can be used to analyze data across your planning, allocation and replenishment environment as well as integration to third party applications. Planning Analytics offers an easy-to-use graphic interface and executive dashboard via which you can access a range of information. Island Pacific SmartPlanning integrates easily with existing Enterprise Resource Planning (ERP) systems, and can be configured to meet the specific needs of your business and planning requirements. Alternate hierarchies, plan templates and measures can be easily tailored to support pre-season planning, in-season re-forecasting, open-to-buy and critical analytics. Learn more about the features and benefits of Island Pacific SmartPlanning here. 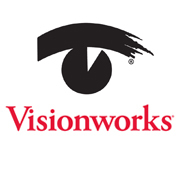 For a demo, or to learn more about our retail planning software, contact us today. Save on costs: Improve accuracy of stock and purchases.